When high-speed stamper Co-planar Inc., Denville, NJ, sought to take its quality-improvement movement to the highest level possible, it investigated a number of sensor systems on the market. Primarily, it sought a to catch incidents of slug pulling, and shut down presses before slugs caused the stamping of unacceptable parts. “Historically our yield of good parts shipped had averaged 99.8 percent,” says company president Jim Cote, describing his firm’s relatively low ppm on stampings for the semiconductor and electronic industries. “So we set out to capture as much of that remaining 0.2 percent as possible. Our parts are so small that relying on operator inspection seemed unlikely to succeed. With 28 employees, Co-planar operates 22 Bruderer presses, from 10 to75 tons. While some high-speed stampers have struggled to ward off foreign competition in recent years, Cote says that quoting activity has been high for Co-planar, and the firm has even managed to take in work that had left the United States for supposedly greener pastures in Asia. To make sure slug pulling didn’t prevent Co-planar from delivering anything but 100-percent good-quality parts, Cote chose acoustic-emission monitoring after viewing the technology at a tradeshow in Germany in 2006. What he viewed was the model PK4U press-monitoring system from Brankamp Process Automation Inc., Cambridge, MA. Acoustic sensors mount on each corner of the stripper plate and as the die runs in the press, acoustic signals route to the monitor. 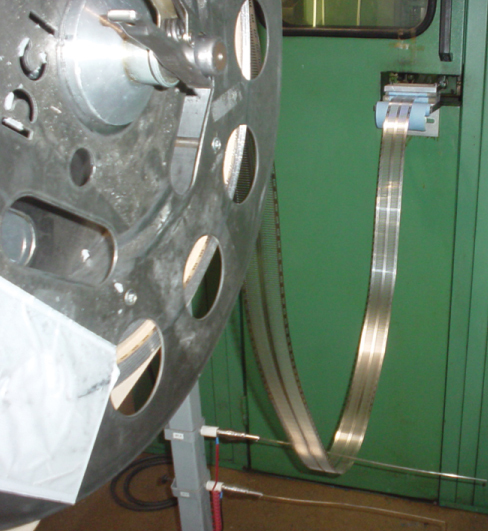 The monitor immediately recognizes out-of-ordinary acoustic pulses generated by cracks, slugs or unejected scrap and breaks in tooling, and immediately shuts down the press. Co-planar currently operates the PK4U monitor on one press and one set of tooling, and has three more systems planned for installation this year. Success with its first installation was immediate and impressive. Eventually Cote plans to install the PK4U acoustic-emission monitoring system on 14 presses. “The investment—$15,000 to $17,000 per controller, which includes sensors for one set of tools—is easily justified,” he says. See also: Brankamp Process Automation, Inc.